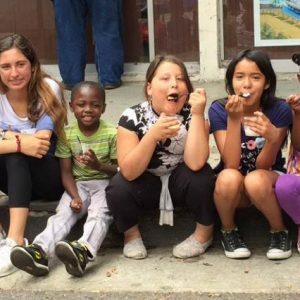 Harbor Interfaith Services Children’s Center offers care and education for ages 6 weeks through 17 years on the second floor of the Family Resource Center. 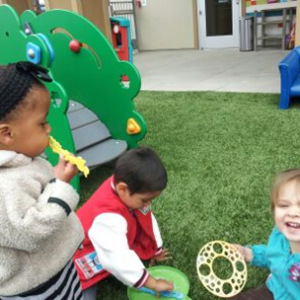 The Children’s Center offers two programs: The Mary Gimenez Caulder Center is our infant, toddler and preschool program, and the HIS Kids Club is our program for school-age youth. Monday-Friday 7:30 a.m. – 6:00 p.m. Full-time care is defined as 31 plus hours per week. Part-time care is defined as 30 hours or less per week. HIS Kids operates from 3:00 p.m. to 6:00 p.m. There is no before school care. We do offer full-time care during school vacation periods. The parents of all children must be clients of Harbor Interfaith Services. To become a client, please go to this link: FIND HELP. The Mary L. Gimenez-Caulder Center recognizes and respects the uniqueness of each child. Established in 2003, the center’s primary focus is to the students in our care. We provide a nurturing and emotionally secure environment and atmosphere to help children develop to their full potential. Emphasis is placed on social, emotional, physical, creative, and cognitive development. It is our goal to teach the children the skills that will enable them to grow, in an orderly environment. 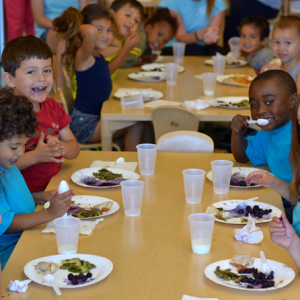 At the Caulder Center we celebrate diversity and help children instill integrity, compassion, and confidence. Through our partnership with the parents, we give each child support and encouragement to become his or her own unique self. Educational Programs: Gross motor skills and social skills are developed through both structured and unstructured play. Their days are filled with music, art, dance, storytimes, and more. For the preschool children (ages 2.5 – 5 years, we follow the Creative Curriculum, a system based on the Montessori method through which every child steers her own learning. We also play games that teach pre-reading skills like phonemics awareness, letter and sound recognition, basic math concepts, and hands-on science exploration. Meals and Snacks: A variety of nutritious foods are provided each day that meet the guidelines of the Federal Governments Food Program. We provide a breakfast, lunch, and snacks. We prepare all the food in our kitchen that is located at the center. Fees: The cost to parents relies on several factors, including family size, income, and circumstances. HIS Kids Club is our program for school-age youth. It provides a nurturing atmosphere to help the students develop to their full potential. Emphasis is placed on academic skills, as well as social, emotional, and physical development. We know that children do not thrive in an atmosphere of chaos. They need to be able to trust their environment. They need to know they are safe, and that someone understands them. Students are provided with a safe and nurturing environment. The program operates from 3:00 p.m. to 6:00 p.m. Monday through Friday and full-time during the school vacation periods.